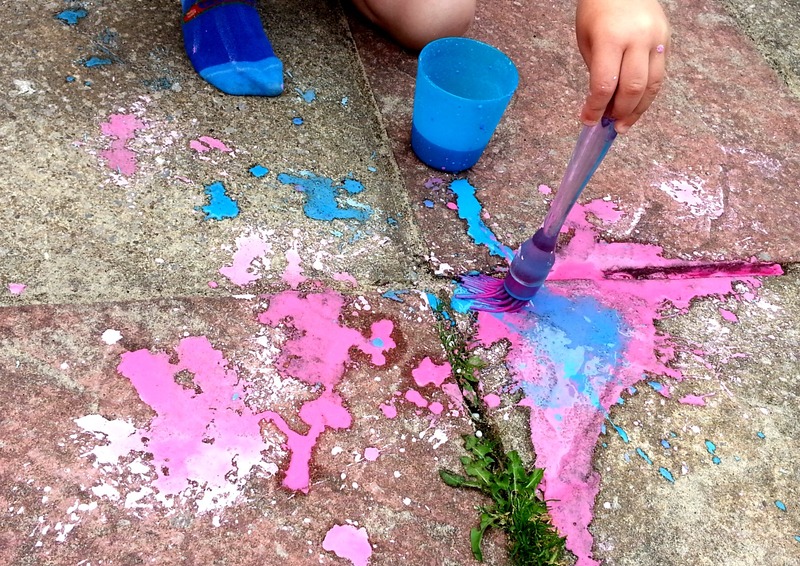 Like any typical boys they love to make a mess and Milo has a real creative streak that has him asking to 'do painting' whenever he wants a fun activity to fill his time. 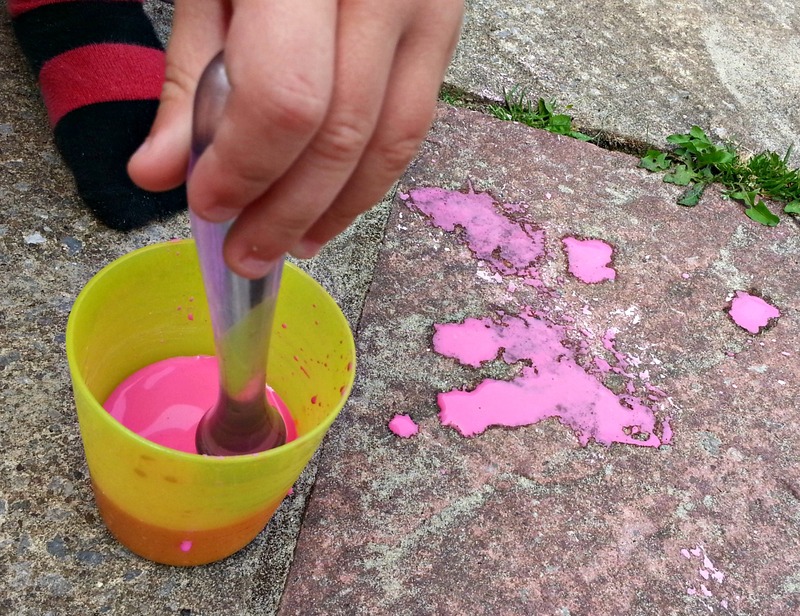 As a baker with a tiny house, it's not always practical to get the tablecloths and painting equipment out so when I came across the idea of making my own chalk paint for the garden then I knew this would be perfect! The recipe is ridiculously simple and contains things I always have in my cupboards. I've recently been trialling some new gel colours for my cakes so I thought I'd use them here as they come in squeezy bottles and dissolve quite quickly in watery liquids. 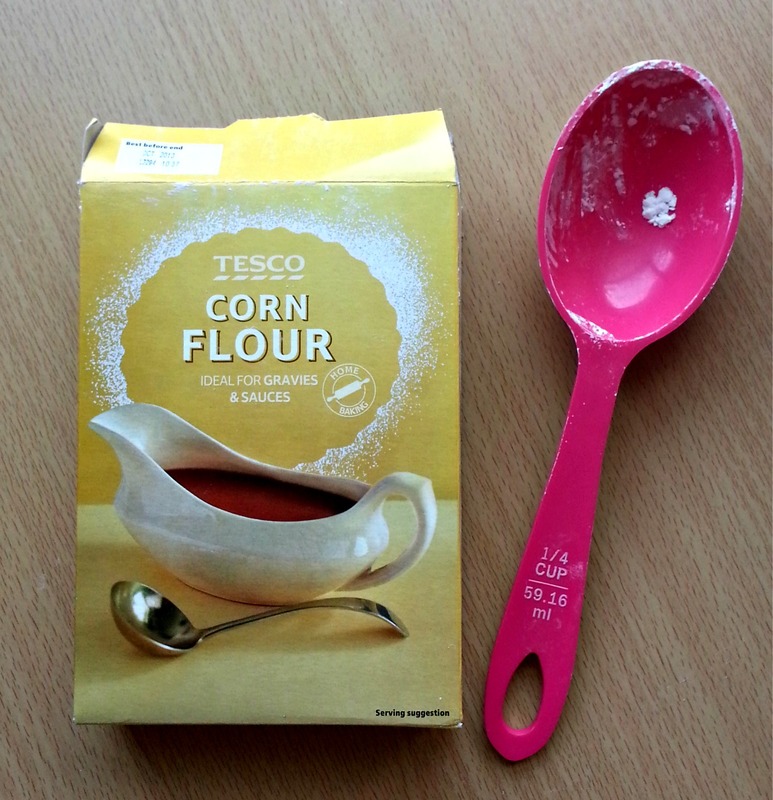 I used a 1:1 ratio of water and cornflour/cornstarch in this recipe but next time I'd be tempted to try a 1:2 ratio to make the paint a bit thicker as it was quite watery. It does a little lighter than it looks but it was washed off in the rain so don't worry about the paint bleaching your fences! Mix equal parts cornflour and water - I stirred this in a big measuring jug but found it settled after a while so I'd be tempted to try making this in squeezy bottles next time so they can shake the mixture as needed. 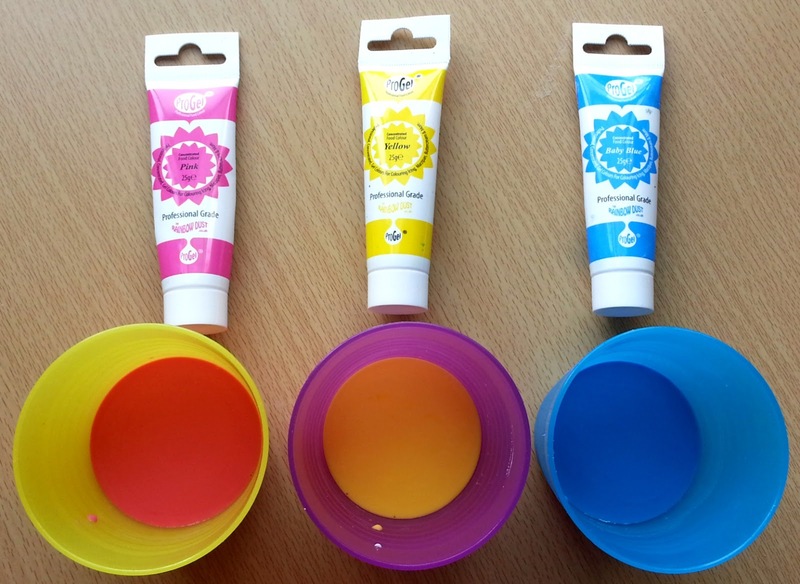 Add food colouring - I use gel paste colouring so only needed a few drops but if you're using the food colourings from the supermarket then remember these are water based so they will add more liquid to your mix. Do you have any family activities planned for the summer? Check out my Pinterest board for a few ideas! Awww, I hope he loves it!